Tiris al-Gharbiyya (Arabic : تيرس الغربية‎Tīris al-Ġarbiyya, "Western Tiris") was the name for the area of Western Sahara under Mauritanian control between 1975 and 1979. Western Sahara is a disputed territory on the northwest coast and in the Maghreb region of North and West Africa, partially controlled by the self-proclaimed Sahrawi Arab Democratic Republic and partially occupied by neighboring Morocco. Its surface area amounts to 266,000 square kilometres (103,000 sq mi). It is one of the most sparsely populated territories in the world, mainly consisting of desert flatlands. The population is estimated at just over 500,000, of which nearly 40% live in Laayoune, the largest city in Western Sahara. Spanish Sahara, officially the Overseas Province of the Spanish Sahara, was the name used for the modern territory of Western Sahara when it was occupied and ruled by Spain between 1884 and 1975. It had been one of the most recent acquisitions of the Spanish Empire as well as one of its last remaining holdings, which had once extended from the Americas to the Philippines and East Asia. 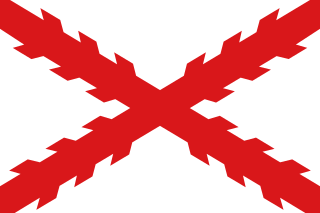 The Madrid Accords, also called Madrid Agreement or Madrid Pact, was a treaty between Spain, Morocco, and Mauritania to end the Spanish presence in the territory of Spanish Sahara, which was until the Madrid Accords' inception a Spanish province and former colony. It was signed in Madrid on November 14, 1975, although it was never published on the Boletin Oficial del Estado. This agreement was in conflict with the Law on decolonization of Sahara, ratified by the Spanish Parliament (Cortes) on November 18. In cause of the Madrid agreement, the territory would then be divided between Morocco and Mauritania. The Polisario Front, Frente Polisario, FRELISARIO or simply POLISARIO, from the Spanish abbreviation of Frente Popular de Liberación de Saguía el Hamra y Río de Oro, is a Sahrawi rebel national liberation movement aiming to end Moroccan presence in the Western Sahara. It is an observer member of the Socialist International. The United Nations considers the Polisario Front to be the legitimate representative of the Sahrawi people and maintains that the Sahrawis have a right to self-determination. The Polisario Front is outlawed in the parts of Western Sahara under Moroccan control, and it is illegal to raise its party flag there. The Western Sahara War was an armed struggle between the Sahrawi indigenous Polisario Front and Morocco between 1975 and 1991, being the most significant phase of the Western Sahara conflict. The conflict erupted after the withdrawal of Spain from the Spanish Sahara in accordance with the Madrid Accords, by which it transferred administrative control of the territory to Morocco and Mauritania, but not the sovereignty. In late 1975, the Moroccan government organized the Green March of some 350,000 Moroccan citizens, escorted by around 20,000 troops, who entered Western Sahara, trying to establish a Moroccan presence. While at first met with just minor resistance by the POLISARIO, Morocco later engaged a long period of guerrilla warfare with the Sahrawi nationalists. 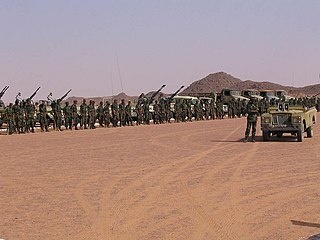 During the late 1970s, the Polisario Front, desiring to establish an independent state in the territory, attempted to fight both Mauritania and Morocco. In 1979, Mauritania withdrew from the conflict after signing a peace treaty with the POLISARIO. The war continued in low intensity throughout the 1980s, though Morocco made several attempts to take the upper hand in 1989–1991. A cease-fire agreement was finally reached between the Polisario Front and Morocco in September 1991. Some sources put the final death toll between 10,000 and 20,000 people. Western Tiris was the lower half of Río de Oro, the southern province of the former Spanish Sahara, comprising 88,000 km² (33,977 sq mi)  with a population of 12,897. It consisted mostly of barren desert terrain, scarcely populated except by some thousands of Sahrawi nomads, many of whom had fled towards the Algerian Tindouf Province in 1975. A few minor settlements dotted the coast, and the largest of these, Dakhla (formerly Villa Cisneros), was made the provincial capital. 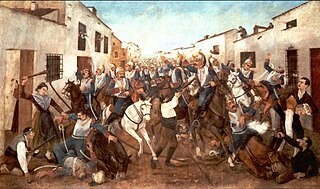 Río de Oro was, with Saguia el-Hamra, one of the two territories that formed the Spanish province of Spanish Sahara after 1969; it had been taken as a Spanish colonial possession in the late 19th century. Its name seems to come from an east–west river which was supposed to have run through it. The river was thought to have largely dried out – a wadi, as the name indicates – or have disappeared underground. Tindouf, also written Tinduf, is the westernmost province of Algeria, having a population of 58,193 as of the 2008 census. Its population in reality could be as high as 160,000 because of the Sahrawi refugee camps. Despite the barren landscape, Tindouf is a resource-rich province, with important quantities of iron ore located in the Gara Djebilet area close to the border with Mauritania. Prior to Algerian independence, the area served as a strongpoint of several tribes of the nomadic Reguibat confederation. Dakhla is a city in Western Sahara, a disputed territory currently administered by Morocco. It is the capital of the Moroccan administrative region Dakhla-Oued Ed-Dahab. It has a population of 106,277 and is built on a narrow peninsula of the Atlantic Coast, the Río de Oro Peninsula, about 550 km south of Laayoune. The term Djema'a can refer to two things in a Western Sahara context. To assist in the decolonization process of the Spanish Sahara, a colony in North Africa, the United Nations General Assembly in 1975 dispatched a visiting mission to the territory and the surrounding countries, in accordance with its resolution 3292. 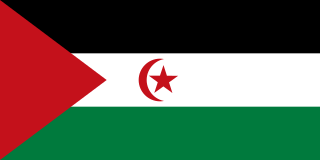 The Sahrawi Arab Democratic Republic, commonly known as Western Sahara, uses a national flag consisting of a black, white and green horizontal tricolor charged with a red star and crescent in the center stripe and a red triangle at the hoist. 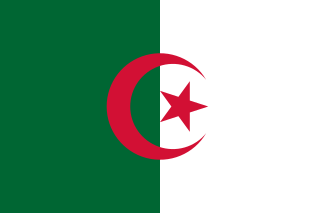 It is used on Polisario-controlled areas, while the Moroccan flag is used on the rest of the occupied territory. The Western Sahara conflict is an ongoing conflict between the Polisario Front and the Kingdom of Morocco. 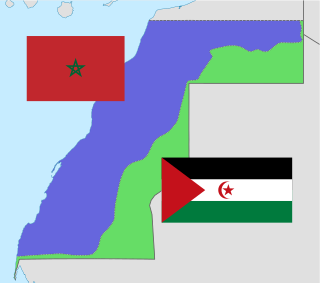 The conflict originated from an insurgency by the Polisario Front against Spanish colonial forces from 1973 to 1975 and the subsequent Western Sahara War against Morocco between 1975 and 1991. Today the conflict is dominated by unarmed civil campaigns of the Polisario Front and their self-proclaimed SADR state to gain fully recognized independence for Western Sahara. The politics of the Sahrawi Arab Democratic Republic refers to politics of the Polisario Front's proclaimed Sahrawi Arab Democratic Republic - an unrecognized country in North Africa, controlling parts of the Western Sahara region. Opération Lamatin was a December 1977 – July 1978 military intervention by France on the behalf of the Mauritanian government, in its war against Sahrawi guerrilla fighters of the Polisario Front, seeking independence for Western Sahara. Airstrikes were launched in the provinces, but the results of the operation were not significant. France used Jaguar combat aircraft from Dakar Airbase. The bombings were targeted in the rail route from the iron mines in Zouérat to the coast of Nouadhibou, which were obstructed by Polisario. 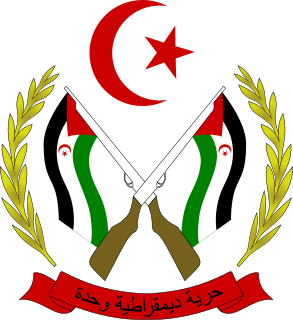 The Coat of arms of the Sahrawi Arab Democratic Republic is a symbol created by the Polisario Front, the national liberation movement of Western Sahara. The Polisario Front proclaimed the Sahrawi Arab Democratic Republic on February 27, 1976, and both the flag and the coat of arms were adopted as state symbols. "Greater Mauritania" is a term for the Mauritanian irredentist claim to Western Sahara, and possibly other Moorish or Sahrawi-populated areas of the western Sahara desert. This article is about the history of Mauritania from 1960 to 1978. Mauritania, officially the Islamic Republic of Mauritania, is an Arab Maghreb country in West Africa. It is bordered by the Atlantic Ocean in the west, by Western Sahara in the north, by Algeria in the northeast, by Mali in the east and southeast, and by Senegal in the southwest. It is named after the ancient Berber Kingdom of Mauretania, which later became a province of the Roman Empire, even though the modern Mauritania covers a territory far to the south of the old Berber kingdom that had no relation with it. General elections were held in Mauritania on 8 August 1976 to elect a President and National Assembly. 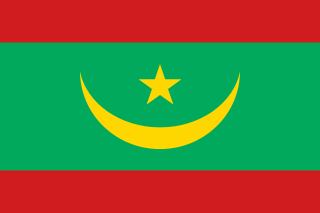 At the time, the country was a one-party state with the Mauritanian People's Party (PPM) as the sole legal party. Its leader, incumbent President Moktar Ould Daddah, was the only candidate in the presidential election, and was re-elected unopposed, whilst the PPM won all the seats in the National Assembly election. Voter turnout was 97.9%. They were the last elections held until the restoration of multi-party democracy in 1992. The Sahrawi Republic, officially the Sahrawi Arab Democratic Republic, is a partially recognized state that claims the non-self-governing territory of Western Sahara, but controls only the easternmost one-fifth of that territory. 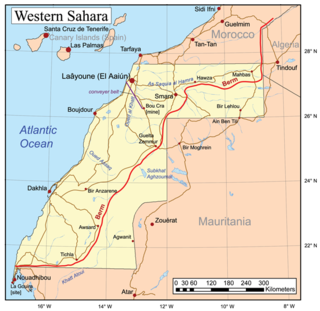 Until 1976, Western Sahara was known as Spanish Sahara, a Spanish colony. ↑ Worldmark Encyclopedia of the Nations: Africa, Fifth Edition, Worldmark Press, Ltd., John Wiley & Sons, Inc.,1976. ↑ International Demographic Data Center (U.S.), United States Bureau of the Census (1980). World Population 1979: Recent Demographic Estimates for the Countries and Regions of the World. The Bureau. p. 108.